Think of it as an insurance policy you only pay for once. 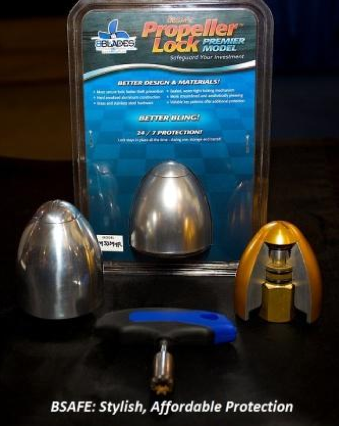 The BSAFE Prop Lock offers boaters a better design, better materials, better theft protection and better “bling,” for any brand of propeller, on any size or brand of outboard and sterndrive. BSAFE Propeller Locks work through a recessed locking device that is inaccessible to would-be thieves. The prop nut is shielded by a stylish, hydrodynamic cone that is secured to the prop nut assembly with a locking mechanism requiring a specially designed “key” for removal, and then capped for additional security. A variety of key patterns are used to further minimize the risk of theft. The hard-anodized aluminum cone body shields a sealed, water-tight brass and stainless steel locking mechanism that offers protection 24/7—in the water, in transit or in storage. 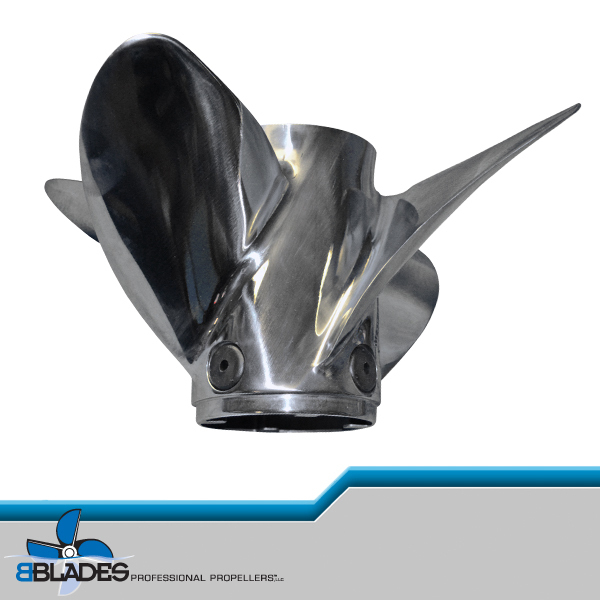 Once installed, the BSAFE Propeller Lock never has to be removed until the prop is replaced or sent to BBLADES for fine-tuning or repair. 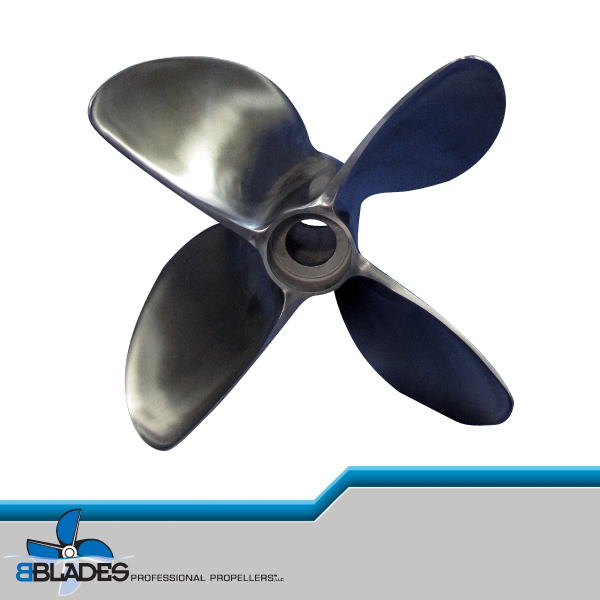 Propellers are stolen for resale or even their scrap value, and the BSAFE Propeller Lock will help prevent you from being the next victim.